This is the English translation of the Book of Emet, found in a cave outside of Nazareth in present-day Israel. It dates from 30 to 40 years after the death of Jesus of Nazareth. 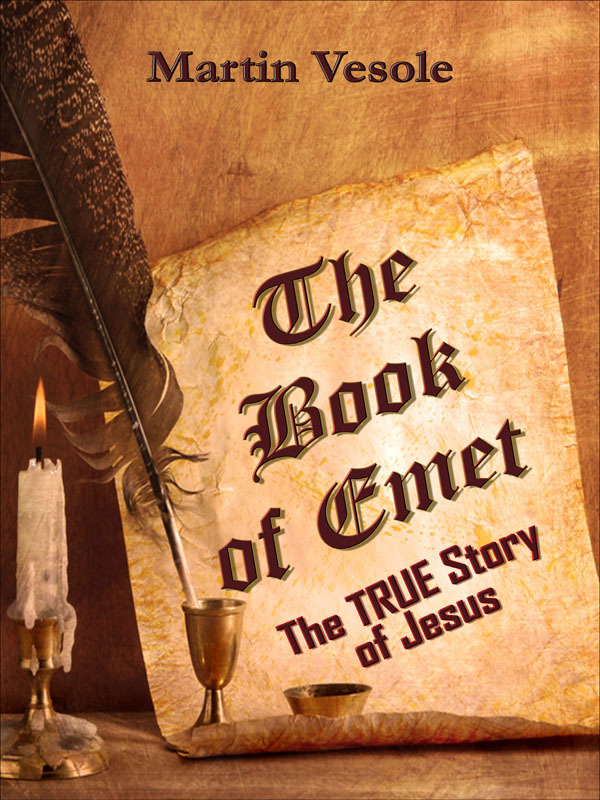 The author of this book is Jesus’ best friend from childhood, Emet son of Chaim. The Book of Emet tells a significantly different story of the life and death of Jesus than is found in the gospels of the New Testament. Scholars are currently debating its authenticity. In the meantime, it is for you, the reader, to form your own opinion of this book’s likely veracity. The full story of the discovery of the Book of Emet and subsequent events will be coming out soon in my book, “Sleeping Truth”. You can purchase the book online from Smashwords in multiple eBook formats at http://www.smashwords.com/books/view/79956.